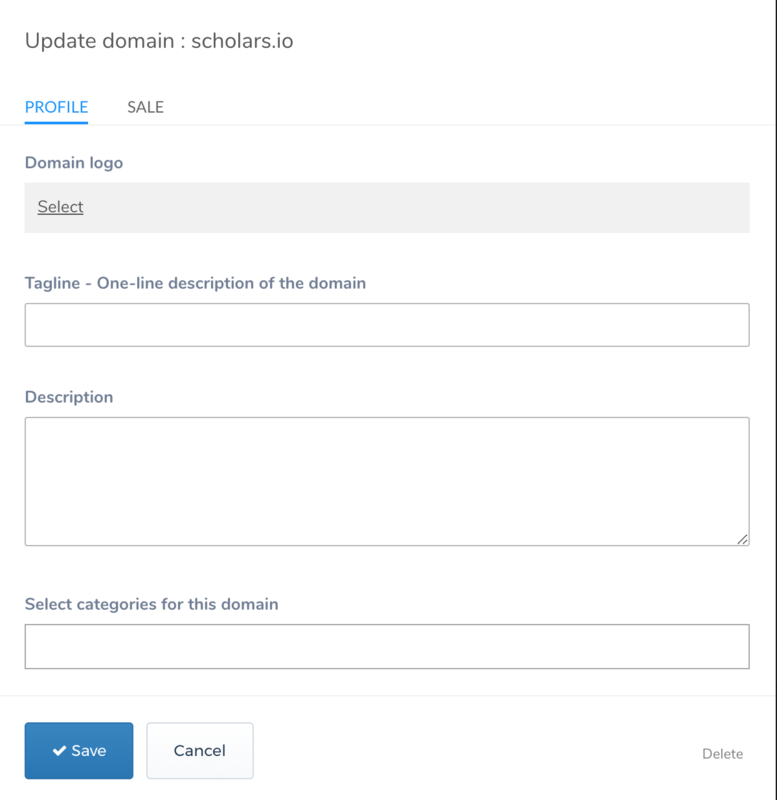 Click on Domains and you will see a screen as displayed in screenshot 1. This is a place where you will manage your all your domains. 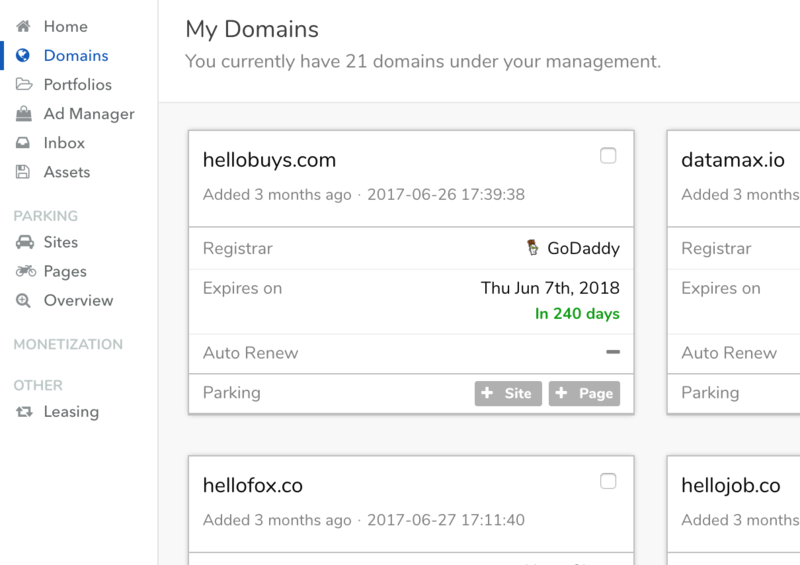 Dub brings all your domains into one central place regardless of what domain registrars you have used to purchased your domains. You will see that Dub displays essential information such as domain expiry date, registrar etc. This page is particularly useful if you are managing many domains. As you explore this page, you will see several bulk features and filter options to focus your management tasks. Click on each domain and you will be able to manage the detail of that domain via a pop-up dialogue as displayed in screenshot 2. In the dialogue, you will be able to add detailed information about this domain including domain logo, description and categories that this domain is suitable for. This information is vital if you are selling your domains and will be displayed via parking sites, parking pages and portfolios. We highly recommend you take time to fill this information, so your domains are well prepared for the future sale.